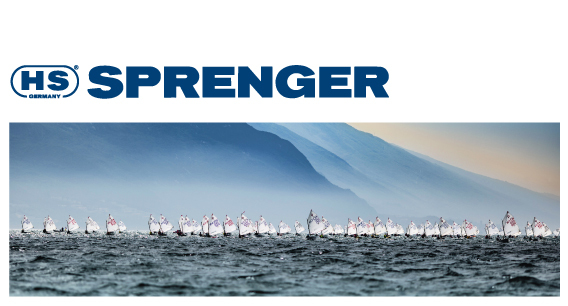 Sprenger is the leading manufacturer in Germany of boat fittings - with the company being founded over 145years ago. The philosophy of Herm. Sprenger Metallwarenfabrik GmbH & Co. KG has always been to manufacture products of the highest quality. Sprenger exclusively uses high-quality materials and components in order to be able to offer its customers reliable and highly durable products. This is only made reality by constant, careful and meticulous processing by professionally trained technicians as well as stringent quality control and product testing at each stage of production. All products marked with the HS logo are manufactured at the Iserlohn production site in the Sauerland region and are a hallmark of "Made in Germany" quality. The TOP sellers of Sprenger are blocks, tiller extensions, tracks & slides as well as cam cleats, with the Sprenger brand recognised by European boat owners as being reliable and highly durable products. "We have been looking for the right partner that is suited to our customers. We sit in a privileged position with this category - as we need to have a product range that suits our Sailmaking, Global Distribution and Chandlery customers. To do this we chose to select the best option for all of these important customers and the best option as a true long-term partner - we selected Sprenger." "We are extremely pleased to have a strong partner at our side in Bainbridge, who will accompany us on our growth course. With its experienced, trained sales staff, Bainbridge offers enormous added value for the UK market. We can only agree with Bainbridge's statement - success is measured by the building of valuable long-term relationships." To see the full range of Sprenger and place an order see our Marine or Sail & Cover websites.